This handwriting course is better than any drug or shrink. I do appreciate your humor- not a boring class. I'm in control of any and all changes in my life, I'm able to remove bad traits, improve traits that improve me as a person. I'm understanding people through handwriting. I'm able to help others change their lives. You were an answered prayer when I found your website! I've made many purchases from Handwriting University...and I'm glad I did. The knowledge is very helpful in my self-evaluation and learning. The first one on Change Your Signature Course and the the other was a ticket to the 2007 Handwriting Conference. I am glad I did purchase them... they have proven to be good investments. I also purchased the Deluxe 401 Handwriting Analysis Home Study Course last year and although I have yet to get certified, I am truly grateful for the courses. They really help me to put everything into perspective. Thank you so much and I am using this in everything I do. It helps me to really understand what is going on around me and why the behaviors. I feel that I am able to understand why people do what they do(including myself). I love this stuff!!!! I look forward to learning every day and to use what I learn to make my environment a better one and to make those around me have a better day as well. It is my pleasure to have my views about the graphology course. I think it is a course which helps an individual to analyze himself in a most scientific manner and helps him to over come the odds by making simple changes in his writing. The ultimate result is self confidence, perfect self judgement, and above all helps me to lead a successful life. "As a result of taking The Certification Course, I knew my self, Cons and Pons of my personality. 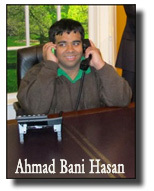 I made establishment I start gaining money then now I made Ahmadmovies.net and I’m going to make huge money from it. Also I know people and I know how I treat them. It is incredible indirect affect." Howard Stern Gives Bart Two Thumbs Up! I watched your interview of Frank Ruehl. You have an amazing ability to interview people and not have them get defensive when you mention negative traits. And you have a great sense of humor, so they laugh along with you. It is a pleasure to watch you interview and analyze handwriting. I saw your testimonial in information I received from Dr. Erika Karohs. Which course(s) did you take from Dr. Karohs? How are you using your training? Do you use it in coaching or are you a practicing graphologist? Do you feel the course(s) prepared you well? I am trying to decide which course to take. 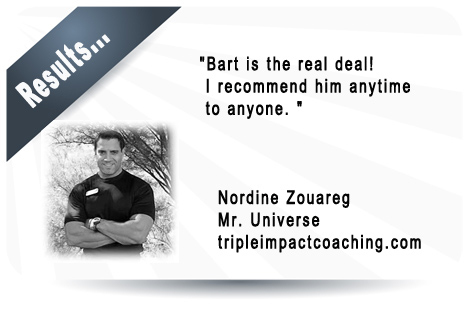 Do you know how Dr. Karohs's compares to Insyte or Bart Baggett's? I am rather new at this and would appreciate any information you care to share when you have the time. I first started reading Dr. Karoh's materials through a website that no longer exists. I have been subscribed to Dr. Karohs "Sunday Lessons" (an email program) since she began them last year. I am not familiar with Dr. Karoh's *basic* programs, although I have purchased several of her reference materials for use in my research and general study. I like to have a full understanding when I learn something, so I have acquired several handwriting analysis reference materials from different authors and teachers. Yes, I'm very familiar with Bart Baggett's programs since those are the ones I first studied for my certification. Because of my own experience, I can highly recommend you start with his programs. They are easy to understand and will give you an excellent basis for your study. Bart and Curtis have a friendly, open style of presenting the material. Throughout the course they also provide excellent examples of how to make your analysis understandable for the folks who hire to you. In fact, I like Bart's programs so much that I offer them for sale through my website. If you decide you want to do more advanced study after your certification, then I would review Dr. Karoh's materials to see which ones fit. Her material is well documented and very professional, but her style is less conversational and more academic. On those rare occasions when I come across something that was not covered in Bart's program, I check my other reference materials to see if it's noted somewhere else. Both are helpful and responsive. And perhaps it isn't fair to recommend one over the other since they are both good. 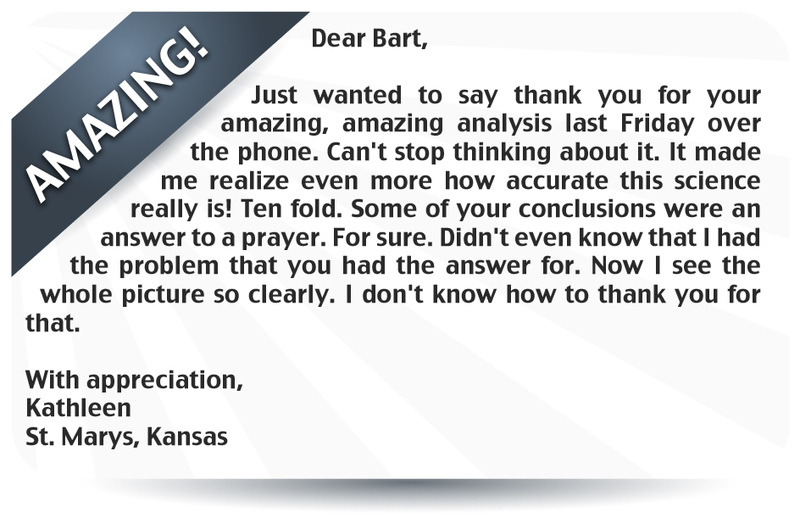 From my personal experience, I found Bart's materials (the books and the tapes), to be an extremely useful, easy and entertaining way to learn the valuable skill of handwriting analysis. And if you're still not sure, he offers a great money-back guarantee, so you could try the materials first to see how well they meet your needs. 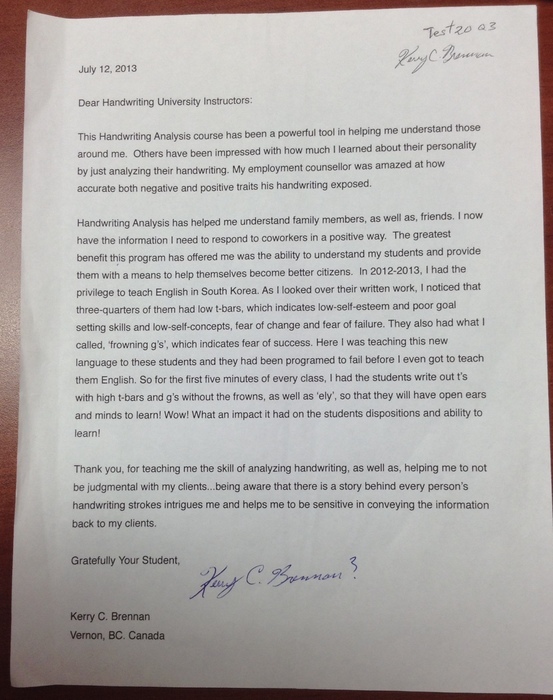 How do I use handwriting analysis? I definitely use it in my coaching work, and I also consider myself a professional handwriting expert. I perform analyses and compatibility studies, provide general information, teach classes, and use it as a short-cut in my sessions with clients. I have also appeared on radio, and provided information for an upcoming book. It's an incredible skill that provides a whole new level of understanding others, and I use it extensively. Create the Life you Deserve and Live the Life of Your Dreams!! I am making a $100 an hour reading handwriting at parties, impressing those with my highly accurate assessment of them without ever having met them before! And all my knowledge comes from Bart's books, courses, and tapes. From what I learned from his "How to Analyze Your Handwriting in 10 minutes," I have been successfully reading people at both private and corporate events (as well as my friends.) People are simply amazed at what I tell them, wondering how handwriting can be so accurate. And at parties they love it, enjoy hearing about themselves, and it is a fabulous ( and VERY ACCURATE) way to analyze couples and see where they agree and where they disagree. 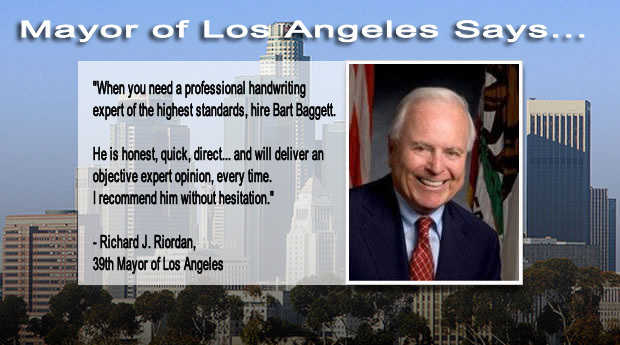 There is a great deal of depth to handwriting analysis, more than just entertainment, and for those who want to really develop their knowledge of this skill, Bart Baggett's courses without a doubt lead the way. You can be sure that you getting information that is 100 percent accurate. I feel totally confident in what I tell people about themselves using the knowledge gained from Bart Baggett's books and tapes because--you know why?--the people themselves tell me how accurate I am!!!! "I find your products to be of top, top quality. I wish everyone did business your way. That's for the great courses! I've been thrilled with everything I've purchased from you!" "When I tuned to AM 1070, KENR here in Houston and heard your interview with Scot Cluthe, little did I realize what a turning point that would be. "Every time I dated a woman with Train wreck Handwriting, she ended up being a Total Trainers. The handwriting doesn't lie. Now, I depend on it. "Bart , I want to take a moment to tell you how handwriting analysis has helped me. The biggest impact has been the increased understanding I have toward other people. I deal with a lot of gender gaps in my career as a female engineer. I have gained wonderful insights to my co-workers and what makes them tick. 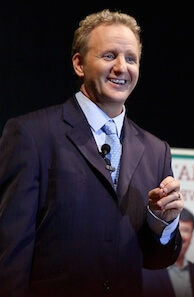 "In my opinion, Bart Baggett's 'How to Earn $100 an Hour or More... The Handwriting Analysis Marketing System' course is excellent in content, presentation, and accuracy. It is obvious that Bart has put much thought, time, and effort into compiling this course. Bart uses abundant illustrations with personal experiences and examples to get the marketing system across to the reader. He uses numerous newspaper articles and testimonials to enhance his ideas. The course material is easy to read and comprehend. His style is simple and straight forward. Bart's basic philosophy states---"this is the way it is, now go out and do it". In the 15 section notebook, Bart covers every aspect of the business from selling to marketing. There are many angles from which he approaches every aspect of the marketing business. It is easy for each to choose that angle that is best for him. This unique way of presentation gives every one the choice of style that best applies to their situation. Also included is a computer program to generate analysis reports. This has been expanded to a larger program on the internet. "Man oh man! This marketing course is SO...EXCELLENT!!!! This course is most definitely the work of a GENIUS and this boosts up my enthusiasm even more to study, get my certification so that I can be in business. I am totally hyped up on this course and I'm dying from total excitement at the thought of making more money from what I am learning from you. I have to tell you that if there is no one that shares my appreciation, thankfulness and excitement from your teachings and motivation for helping others gain for the best of themselves than those people don't know what...it is that they're missing. You can quote me on that too. "This is Loy from Dubai. I hope you have not forgotten me. I was the one who you basically helped a lot to get your course. Well after learning the course I began the adventure of getting attention and being noticed for the new skill that I developed. I can't wait to complete your course and become certified. By God's grace I have happened to get in touch with a certified NLP person - who is interested in giving me the opportunity to work with him as partners in a business that will promote handwriting analysis in Dubai (that is after my certification) with NLP techniques. I managed to get this opportunity because of you. It was only because I was able to analyze him and the people who were attending his course that he seen this potential in me. We are hoping to start in September. I seek your good wishes and will never forget the little things you did in my life that made a HUGE difference. Mr. Bart Baggett Thank you, and God forever bless you for the person you are and the wonderful things you are doing for other people by what you are teaching them. My long term goal will be to create a market for you here in the Gulf as well as in the Asian market. We have 5 Levels of programs to choose from, depending on how serious you are about mastering this science of graphology (handwriting analysis), or forensic document examination . Naturally, you can always pick up a single book or cards individually, but most students jump into the course in the following sequence... level 101,201,301, and 401, 501. Before you know it, you are certified as a handwriting analyst and earning $100 an hour part time! (If you are really a tire kicker, you can just read the newsletter each week until your curiosity gets the best of you and you break out your wallet and get the home study course. No hard feelings, you will love the weekly newsletter! We recommend you order one of the COMBO kits to save money and get the most advaned tooks and videos, right away, like the Standard or Deluxe Course, but you can also order one step at a time and upgrade. Call my office with any questions on which program to choose.